Truly, the best things in life are free. I recently went on a fee dig at the Cuesta Fire Agate Mine near Oatman, Arizona. 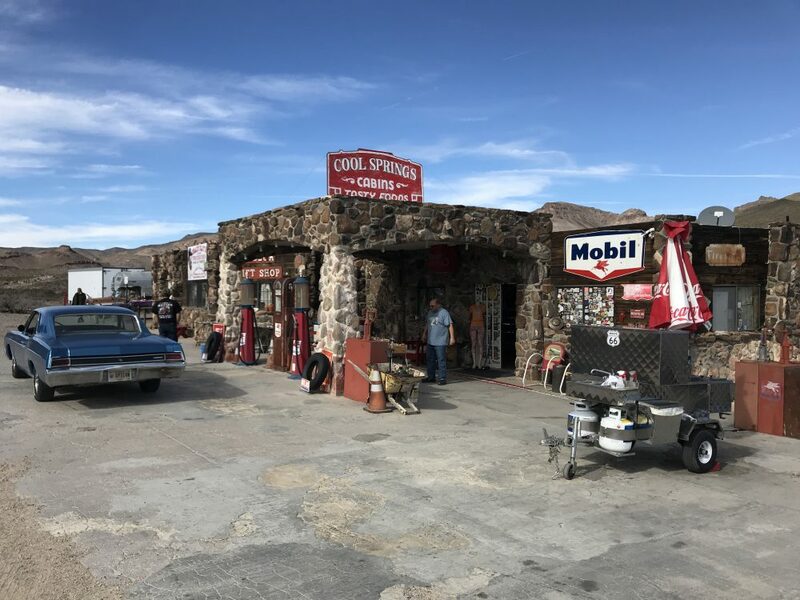 Don Nelson is the claim owner there, with Old Route 66 passing through the center of his four twenty acre claims. Don was warm and personable and I and several other rockhounds had a great time. I’ll report about this adventure with lots of photographs in my book. 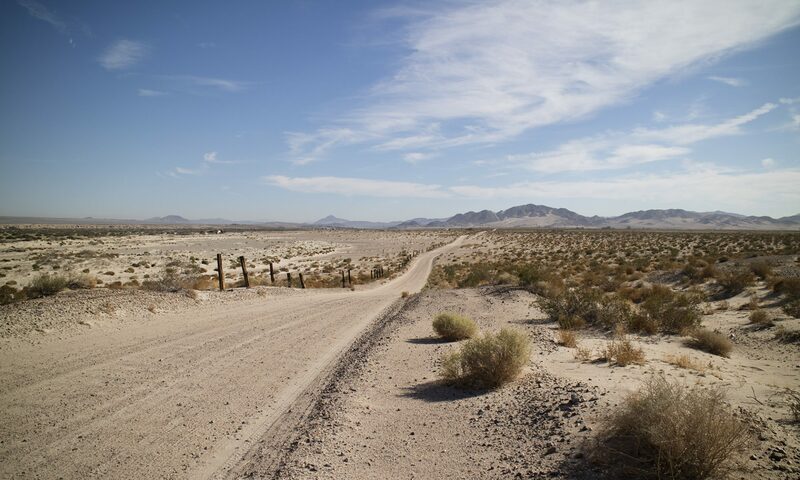 I left Don and the group in mid-afternoon to go to Kingman. I regretted that I hadn’t bought any fire agate rough from Don earlier at his house, some distance from the claims. But I had photographs and at that point I really needed to get going. And I also needed a diet Pepsi. Several miles down the road a classic Route 66 store appeared, named Cool Springs. A sign promised cold drinks. I bought a diet Pepsi for two dollars and tipped the rustic, picturesque looking character at the cash register an extra dollar. His face lighted up at the tip and he thanked me. Outside, I noticed a few tables covered with rocks. 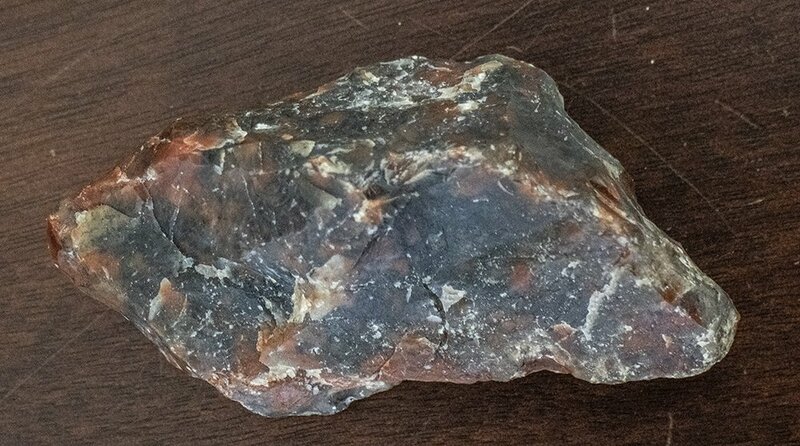 There were several pieces of fire agate rough, material that looked just like what I had seen from the claim. One piece was pretty but had no price tag. I went back to the cashier who I now assumed was the owner. I declared that I was back and asked how much he wanted for the rough. He asked for twenty dollars which I promptly paid. I’d now have something to take more detailed pictures of in my photo box at home. As he considered the stone, he started to list the challenges of working fire agate, of removing the chalcedony to reveal the stone within the rock. Not all fire agate flashes, and inexpert carving might remove the thin layer that produced the play of light. He asked me if I had done any carving. I said the only rock I had carved was my jade key fob, done months ago. I handed him my keys and said somewhat apologetically that it was supposed to be a leaf. He examined it closely and said that it was really nice. That made me happy. By the way he talked I could tell I had met a passionate rockhound. A kindred soul.